This is a belief founded upon personal experience for many in our community. 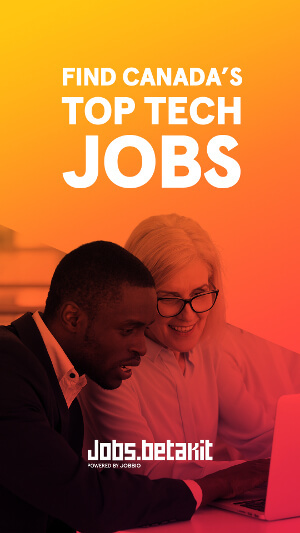 Many Canadian tech entrepreneurs are immigrants, are the children of immigrants, employ and have been employed by immigrants. As connected economies, decisions by the United States can directly impact every business north of the border. The recently signed Executive Order to block entry of citizens from seven countries has already impacted several in our community. As a community, we are all affected. As a community, we stand together in opposition to the marginalization of people based on their birthplace, race, or religion. Diversity is our strength. We, as Canadians, recognize our privilege as a prosperous nation. We believe providing refuge to people seeking safety should remain our compass. This open letter was initially drafted, revised, and signed by over 150 members of the Canadian tech community. Those wishing to add their names to the list can use this form. Extreme thanks to our friends at TechToronto.org for not only supporting, but completely rebuilding, our signature submission process. A McKinsey study showed that companies that embrace cultural diversity are 35% more likely to outperform. Logic suggests that this applies to countries too! Actually no, it is not ‘logic’. Logic is about deductive inference. Your claim is clearly not deductive, but rather inductive. A rather long line of researchers have found the opposite conclusion in much more extensive studies on diversities in neighbourhoods. What are you doing to help the young adults who need training in Canada? I know a few who could use your help. It’s sounds nice to agree with diversity and I do agree but it would be a wonderful investment in our youth if you would offer them some training. All the training one needs is available online through MOOCs. Your side projects are your resume. How nice. As an engineer in a rather well known company in Silicon Valley, I do a lot of interviewing. I have never seen someone get hired without proper credentials in terms of education. I don’t understand what you’re getting at. But while we’re saying things: I on the other hand have never produced a tech resume, and yet I’ve had many wonderful opportunities in tech. Anecdote anecdote anecdote. I never said I was against immigration/diversity. I am worried about a class of youth that has been left behind. It is never a choice btwn Refugees/immigrants and ‘our own’; but it is frequently an argument used to cover up anti-refugee sentiment. Of course it is a choice. Resources and jobs are limited, and typically there is no shortage of domestic labour. As someone else said it doesn’t have to be an either / or. 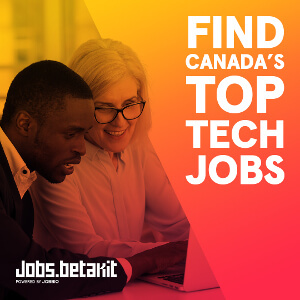 There are great initiatives happening such as http://www.canadalearningcode.ca/ that will help more Canadian’s (of all ages and backgrounds) have a chance to participate in the tech / software industry. This is a great initiative! But because of the Safe Third Country Agreement, many people who have already landed in the USA probably wouldn’t be eligible for such a visa. It would be cool to add a request to repeal the Safe Third Country Act so that we can truly welcome all people to Canada. No need to repeal, the US is no longer a Safe Third Country for minorities. That’s garbage. Diversity sows confusion, bans on pork, and finally bombs the research facilities that comes up with conclusions Islam doesn’t like. Get off the diversity and multiculturalism kick, and instead fight for Western Civilization. Remember what Thunderf00t said: the 20% of people in the world who are Muslims produce less scientific research than Harvard University! I encourage you to have a look a bit more deeply into who is working in all those University, including Harvard…there is more diversity among those university then you may think. Harvard University has a large community of Muslims both students and professors. NASA has approximately 250-300 Iranian employees alone, who work in various verticals. Your view seems very narrow. I’d urge you to reconsider and look at the issue more in depth. Please help us in our fight by taking your computer and setting it on fire. You know how you solve confusion? Learning to understanding your subject matter. This is almost like a mantra instead of something defending with evidence. Precisely what grounds this claim? Oddly enough, research does not. Robert Putnam of Harvard (card carrying Democrat, by the way) and others have done numerous studies and found that diversity is inversely correlated with trust, social cohesion, etc. To pretend diversity is some sort of unrivaled good with no negative consequences is puerile in the extreme. On this front it is worth noting that China, Japan and other asian nations lack diversity but still manage very high levels of innovation and scientific research. His $20k 1:1 matching campaign maxed in an hour – but others have picked up the mantle. Donating there is my next stop — join me. As the much-recycled adage has it, the road to hell is paved with good intentions. As far as examples go, this letter is a case in point. By invoking the same principles of unfettered openness and tolerance, Germany let in more than one million from problematic countries in 2015 and, as with other European countries with large Muslim communities, has been in and out of the news for all the wrong reasons ever since. While it is silly to claim that every Muslim is a terrorist, every terrorist nowadays seems to be a Muslim. To open your national borders to restless hordes from unstable countries festering with religious extremism is to jeopardize the safety of your own citizenry, however many talented professionals these hordes might contain. I wonder if the kindhearted folks on this list will agree to be held accountable should a single terrorist attack be committed by one of these refugees turned away by the US and so imprudently accepted by Canada. But of course, the view is different from the ivory tower that houses those who have added their names to this proclamation of boundless “pluralism” and “tolerance”. There’s something else going on here that is much more disturbing, though: the tyranny of liberalism. Simply put, the message is, “we’re tolerant of your viewpoint as long as it coincides with our viewpoint”. The people protesting against Trump and the immigration ban are not being driven by some lofty cause, even if they think they are. Trump’s presidential victory was legitimate. His immigration policy constitutes a reasonable response that should be – and has always been – at the disposal of every country on this planet: the right to control the flow of foreigners is a sine qua non of any independent state. To decide who gets to enter and who doesn’t is an assertion of national sovereignty and protection of national identity, not a sign of of xenophobia. If anything, one surefire away to stir up chauvinism is to let millions of people from another civilization into your country, as Europe did. But, as with Trump’s victory, this is moot. The protesters are no more about tolerance than Donald Trump is about racism. Instead, these people are protesting against the fact that, for once, the doctrine that they have believed to be sacred, immutable and permanent – that doctrine is finally being challenged now that it has been swept away by terrorist acts and medieval barbarism – increasingly, on Western soil. This is not about Muslim migrants: this is about a large group of smug, complacent, out-of-touch “progressives” who, while preaching tolerance and pluralism, have no tolerance for those who do not subscribe to their own vision of society. What will it take for them to get the point? Put your tax dollars and intolerance where it belongs, not BS everyone into thinking that this EO makes anyone safer! If anything, it creates more hostility in the world and thus increases the threat. Congratulations on your joint message, which welcomes those who will be marginalized by the U. S. executive order to block entry of citizens from seven countries. Your united voices and forward thinking demonstrate the values of Canada. We at the Canadian Centre for Diversity and Inclusion (CCDI) stand with you to help Canada remain inclusive to all nationalities. At CCDI, daily we work to make the Canadian workforce a better one. One free of prejudice and discrimination. One in which businesses strive to create an environment that values and respects the talents, skills and abilities of each and every employee. And one that recognizes this will help drive a successful workforce into the future. We operate in a global market, and as both you and Prime Minister Trudeau confirmed, we must remain inclusive to all nationalities. Thank you for speaking out. I hear you. You represent Canada’s future. Your success will represent the success of us all. CCDI joins you in your efforts to help Canada continue to be inclusive. “Canadian tech companies understand the power of inclusion and diversity of thought” – How about diversity of thought in political opinion? I am an immigrant in the tech community and so I am myself ‘diverse’. What’s more, I am a conservative in a liberal environment which is increasingly intolerant towards those who dare to think differently. If we say that we support diversity and inclusion, it is important that we do what we preach lest we become hypocrites. Marginalizing and attempting to dismiss all different opinions is hardly ‘inclusive’. Diversity is only strength when it is genuine. It is a nation’s responsibility to keep its denizens safe. Diversity at the price of our prosperity is unacceptable. The immigrants that are allowed into our nation should be those who contribute first, and allowed in later, like my own family. It is imperative we take precautions to keep dangerous ideologies out, lest we pay the price as we should have learned from the atrocities in Paris, Nice, Cologne, and many others. Otherwise, we at best pay for a new group of freeloaders, and at worst, risk Canadian lives as the price for this inane virtue signalling.